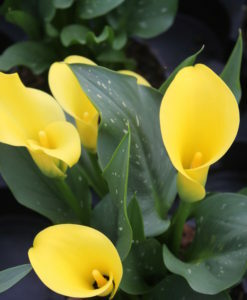 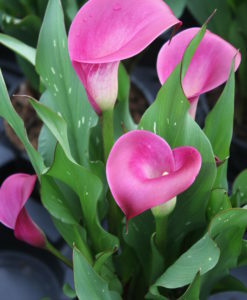 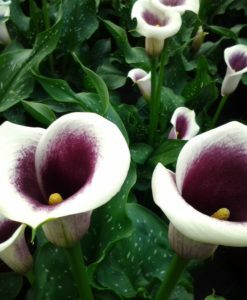 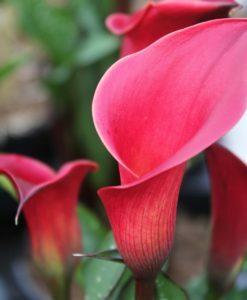 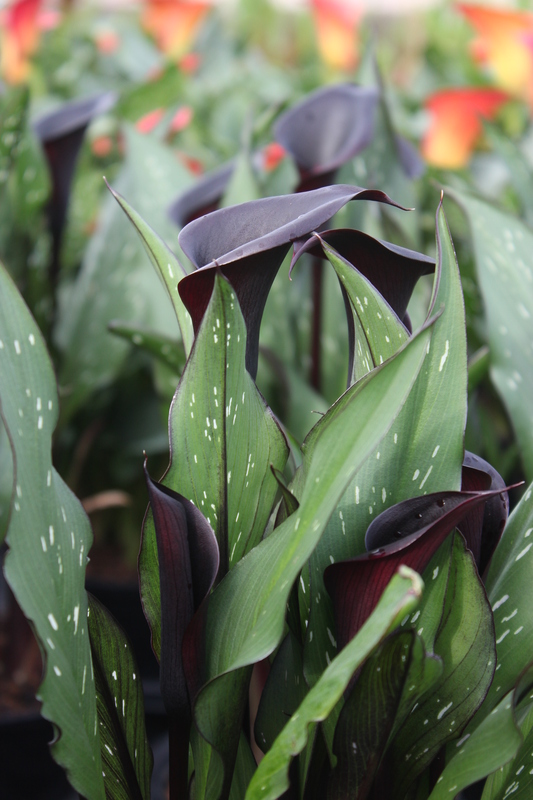 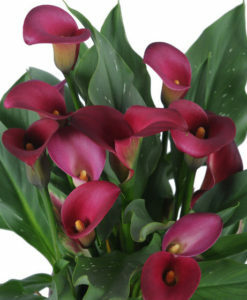 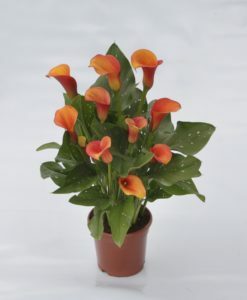 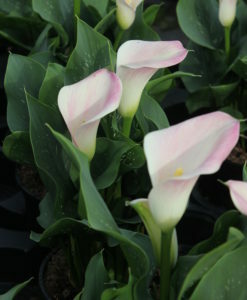 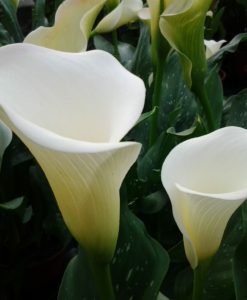 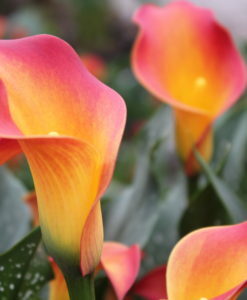 Zantedeschia Starry Night is an improved form of Zantedeschia Black Star, having a much stronger growth habit. 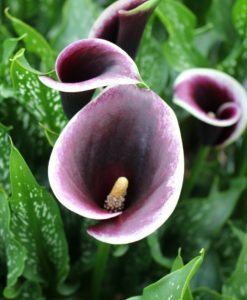 It has reasonably sized completely black flowers with a black stem. 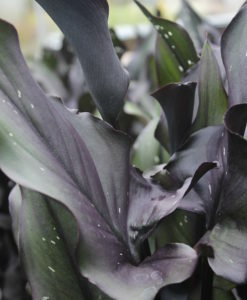 The leaves are a very dark green with a black/purple margin and black colouring to the reverse of the leaf. 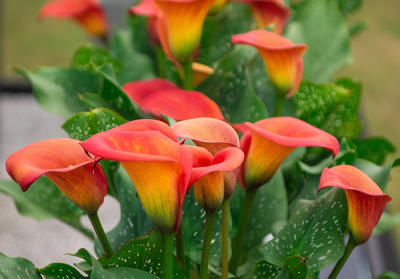 It is a dramatic looking plant that creates a bold statement on the patio.